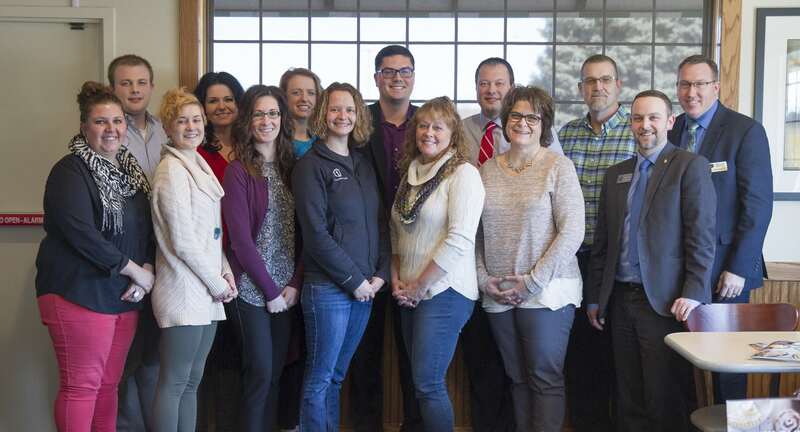 Chamber Ambassadors serve as the goodwill and public representatives for the Yankton Area Chamber of Commerce. These networking events bring together an average of 75 people to celebrate your business. Limited to 7 per year, this event offers a great networking opportunity for you to spread the word about your business. Provided to members for free, these events provide great exposure and media coverage for new or expanding businesses. Chamber members enjoy a day of golf every summer while networking on the green! See our events calendar to register. This fun-filled evening is the Chamber's opportunity to thank their hundreds of business members and volunteers who contribute to the success of the Chamber, as well as the success of the entire Yankton business community. The Chamber Ambassadors represent Yankton and the Chamber of Commerce in numerous area parades, showing area communities the positive energy and excitement that drives the Chamber's success! Natalie Gubbels, Williams & Co., Inc.
Lexie Hauger, Williams & Co., Inc.
Sarah Honrath, Riverfront Broadcasting, Inc.
Lynn Meredith, Embroidery & Screen Works, Inc.
Paul Wintz, Wintz & Ray Funeral Home & Cremation Services, Inc. Meetings are held the first Wednesday of the month at noon. For more information or to join the Chamber Ambassadors Committee, e-mail Marissa at: marissa@yanktonsd.com or call (605) 665-3636.